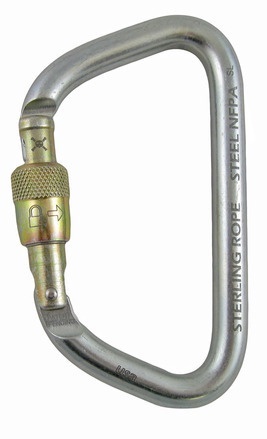 The SR Steel is a high strength carabiner for technical rescue and industrial applications where high loads are expected. The SR Steel features a key lock design and has a wide gate opening for stacking multiple ropes or slings. Manufactured in USA and certified to NFPA 1983 General-Use.